See Also: Live action Sailor Moon exclusive attack. In Brief: An attack used often by Sailor Luna, she transforms her Moon Wand into a harisen (or paper fan) with which she uses to whap baddies over the head with. It's never really shown to be that useful and it's use normally ends up with Sailor Luna being blasted by an enemy attack or her resorting to another more powerful move. Cultural: "A number of war fans were used in Japanese feudal warfare, of varying size and material, for different purposes. One of the most significant, and perhaps most interesting, uses was as a signalling device. Signalling fans came in three varieties: a tasselled pom-pom, a solid iron fan, or a wood and paper one, very similar to the fans used today by sumo referees. The commander would raise or lower his fan and point in different ways to issue commands to the soldiers, which would then be passed on by other forms of visible and audible signalling. The art of fighting with war fans is tessenjutsu. The harisen (literally meaning "paper fan" in Japanese) is a giant paper fan. Usually made in a closed fashion, it is used in Japanese comedy shows as a form of physical comedy. This is what is usually seen in anime when a character smacks another on the head with a paper fan." 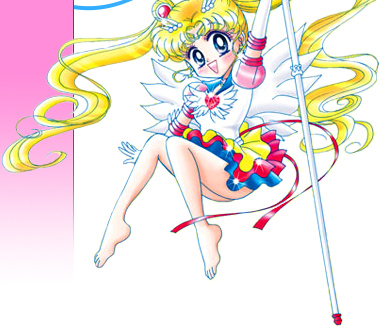 The Move: Sailor Luna transforms her Moon Wand into a fan and whaps baddies with it. That's pretty much it in a nutshell. 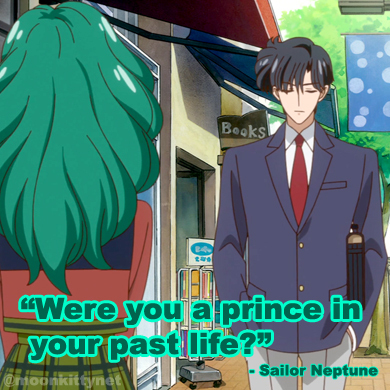 "Will the new Sailor Moon anime in 2013 be dubbed in English?" "Where can I buy the Sailor Moon Star Locket?"